GLS AFFORDABLE SECTOR 106 GURGAON is a place where Luxury living becomes affordable. After the tremendous success of GLS Arawali homes in sector 4 sohna south of gurgaon and Gls Avenue 51 sector 92 Gurgaon Now GLS Infratech is coming up with its unique and one of the most awaited affordable housing project on Dwarka expressway GLS AFFORDABLE SECTOR 106 GURGAON in sector 106 gurgaon. GLS Affordable sector 106 Gurugram is an affordable housing project under Haryana Government Affordable housing 2013. 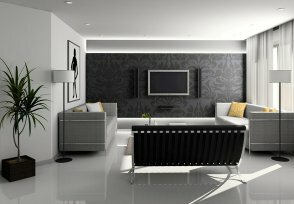 GLS Sector 106 Gurgaon is spread over an area of 5 acres surrounded by luxurious project of reputed builders like Paras, Chd and so on. GLS Affordable sector 106 gurgaon is strategically located on Dwarka Expressway hence giving a very good and Convenient connectivity to Delhi and NH8 and adjoining posh, well-planned sectors and close to Dwarka Expressway , KMp Expressway & Pataudi Road. A number of commercial projects are being developed near sector 106 . Reputed Schools and Educational Institution are already operational in close proximity to Gls sector 106 gurugram. It has high rise towers comprising of 1bhk, 2bhk and 3 bhk Apartments. It is a gated complex with security and has amenties like clubhouse, tennis and badminton courts and so on. Gls Affordable sector 106 Gurgaon will offer a home where every moment of life will be like a celebration. Gls Afforable sector 106 Gurgaon means A place where your dreams begin to unfold. Where you rediscover life's little pleasures. Where happiness is nurtured in every nook and corner. And above all, a place you'd be proud to call your home. Draw Results Draw Date of GLS affordable housing sector 106 Gurgoan will be announced by DTCP Haryana.